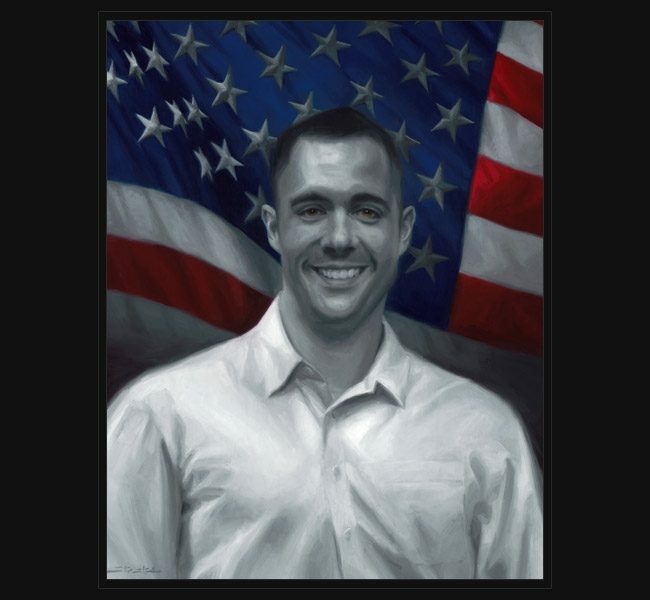 Army SSG Kevin Pape died November 16, 2010 of wounds suffered during a heavy firefight in which insurgents attacked the squad he was leading with small arms fire. SSG Pape was born February 5, 1980, and graduated from Concordia Lutheran high school in 1998 before enlisting in the Army in 2005. He completed One Station Unit Training at Fort Benning, Georgia. He graduated from the Basic Airborne Course before being assigned to the Ranger Assessment and Selection Program also at Fort Benning. He graduated Ranger school and was assigned to the 75th Ranger Regiment in April of 2006. As a Ranger, Pape lived selflessly, distinguishing himself as a member of the Army’s premier light-infantry unit, and worked to continue his military education. In addition to his Ranger and Airborne courses, he also completed the Emergency Medical Technician Basic course, Warrior Leader Course and the Advanced Leader course. Pape was on his sixth deployment, his third tour to Afghanistan, having served 3 previous tours to Iraq. He continuously deployed to support the efforts of Operations Iraqi and Enduring Freedom, and served his fellow Rangers. “By the manner in which he lived his life, SSG Pape defined sacrifice, dedication and selfless service,” Col. Michael E. Kurilla, Commander of the 75th Ranger Regiment, said in a statement. His was a decorated Ranger, with several badges and service medals including the Ranger Tab, the Expert Infantry Badge, the Parachutist Badge and the Joint Service Commendation Medal. He was also posthumously awarded the Bronze Star Medal for Valor, Bronze Star Medal, Purple Heart and the Meritorious Service Medal. He is survived by his wife, Amelia, and daughter, Anneka Sue. PFC Kevin Pape was 30 years from Fort Wayne, Indiana. Original portrait by artist Jonathan Stasko was presented November 13, 2016 to his family and friends at a special memorial event hosted by Lead the Way Fund in New York, NY.